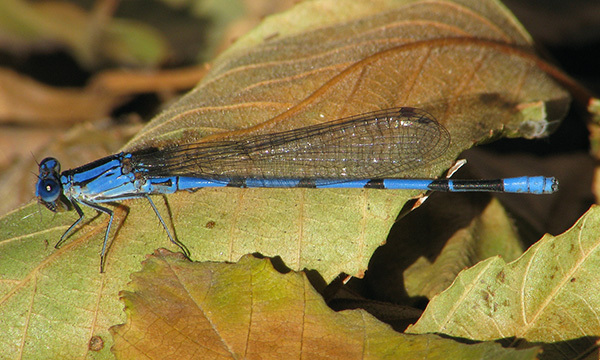 The Tarascan Dancer, Argia tarascana, in Arizona is uncommon and has a limited distribution that includes the Blue River, Gila. The species had until now been found until October (Bailowitz, personal communication). On 27 November 2010 two mature males were observed along the Blue River, thus extending the flying period of the species in the SW United States by a full month.